The copyediting and proofreading of articles in English is financed in the framework of contract No. 845/P-DUN/2018 by the Ministry of Science and Higher Education of the Republic of Poland committed to activities aimed at science promotion. The copyediting and proofreading of articles in English is financed in the framework of contract No. 799/P-DUN/2017 by the Ministry of Science and Higher Education of the Republic of Poland committed to activities aimed at science promotion. At the beginning of the 21st century we also experience some drawbacks of globalisation. Yes, it “promotes economic and social advancement”, but the progress is not evenly distributes and not “all peoples” enjoy the benefits of globalisation. Growing interdependency has also brought greater competition, this time reaching much further that just neighbouring countries. 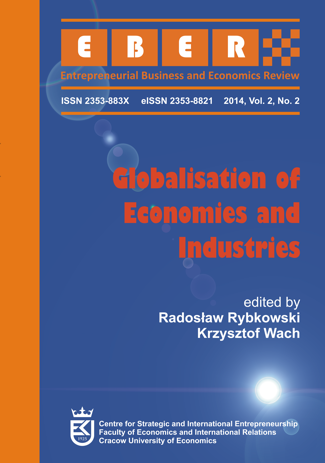 Therefore, we decided to focus this issue of our journal on exploring the Globalisation of Economies and Industries. We do hope that the articles presented in this issue will inspire further research. 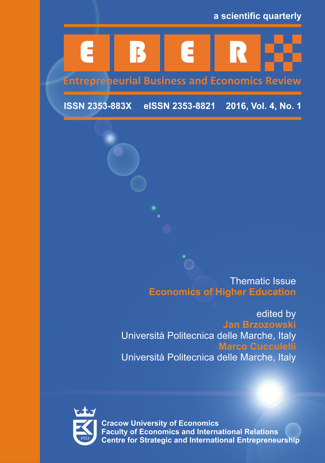 This issue includes six very interesting papers focusing on global dimensions of entrepreneurship. This issue of EBER concentrates on the modern challenges for organisations and countriesâ€™ economies in the region of the CEE, particularly four countries: Lithuania, Poland, Russia and Slovakia. First part consists of three research papers related to scientific methodsâ€™ utilisation, and concentrates on the following challenges: public debt management, investing on global market, and searching for better models estimating the cost of equity in emerging markets. Second part includes four articles dealing with exploration of the following topics: cooperation of businesses on international markets, collaboration between public and private sectors, peculiarities of income taxation and entrepreneurship opportunities after military service. Globalisation, integration, regionalisation or integration processes are indeed very crucial for local businesses, which more and more often think globally and act locally (Kefalas, 1998), especially in Europe, thus globalisation and Europeanisation processes are currently key contemporary challenges for international businesses in Europe. 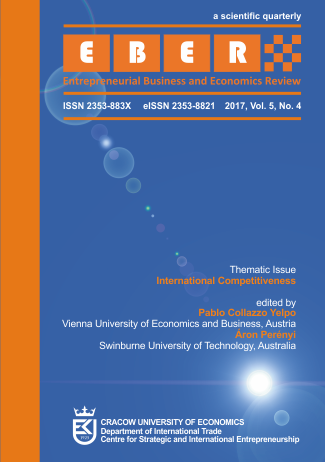 Four out of six papers published in this issue are literature reviews, while two articles are research papers.